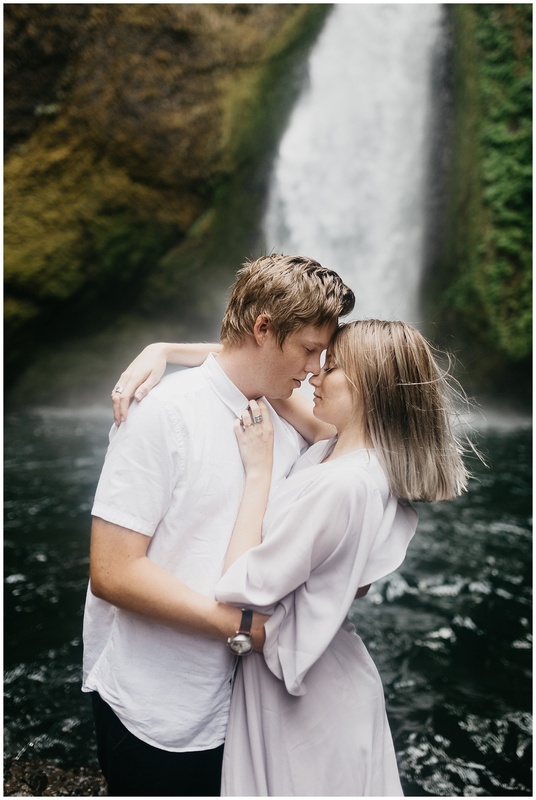 Now that everything is getting grey and brown outside as autumn here in Utah draws to a close I decided to throw it back to this ultra-green scene from the other month! 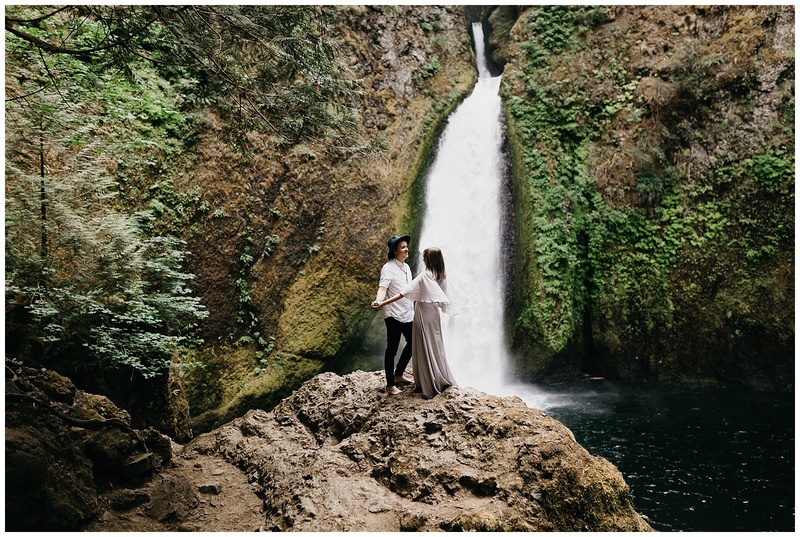 At the end of this summer my husband and I roadtripped up to Oregon with our super good friends the Straders for a week of shooting and seeing the sights! 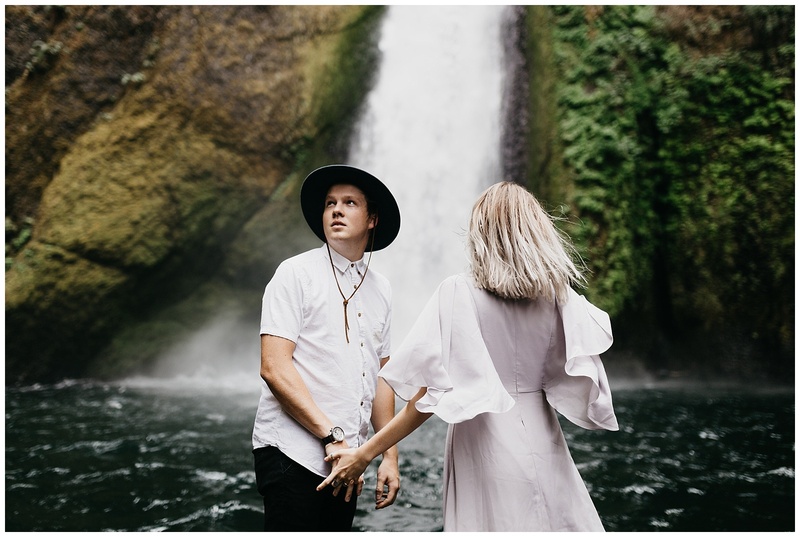 Eden and I are traveling everywhere together already so it was incredibly fun to bring the husbands along this time around. 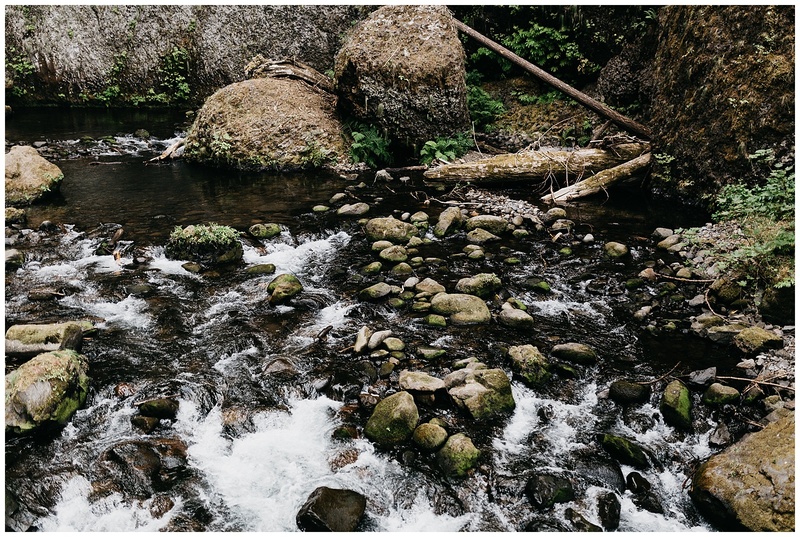 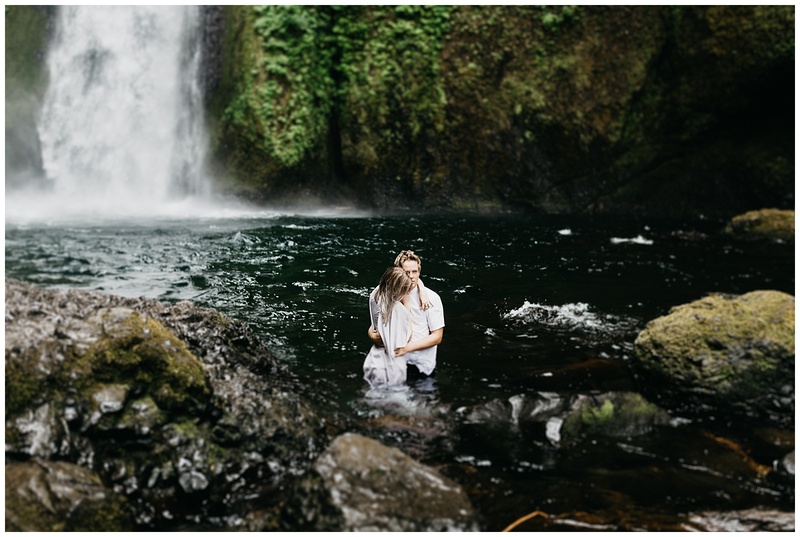 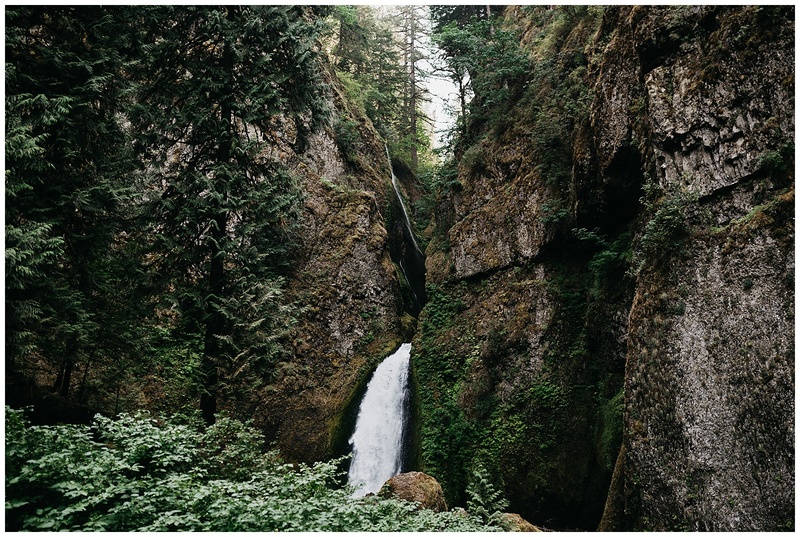 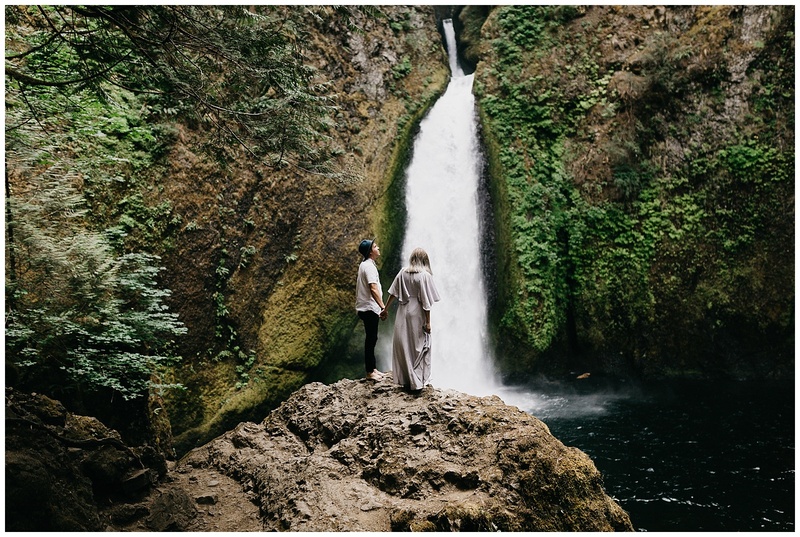 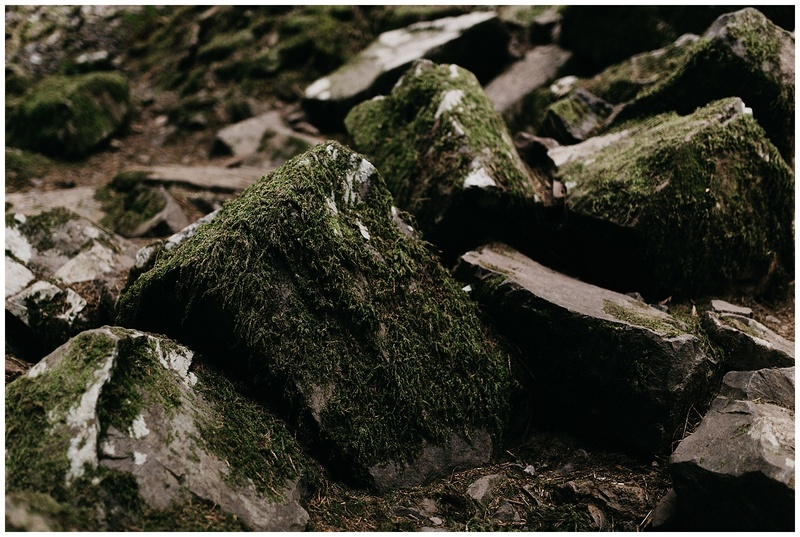 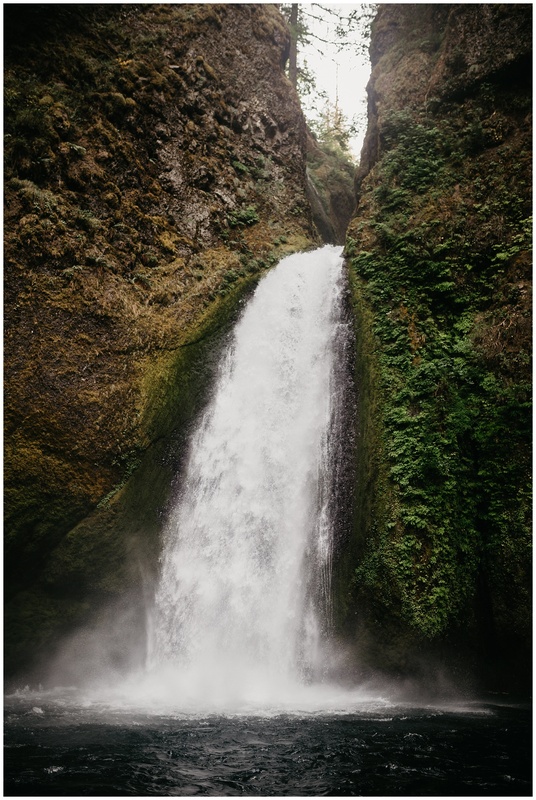 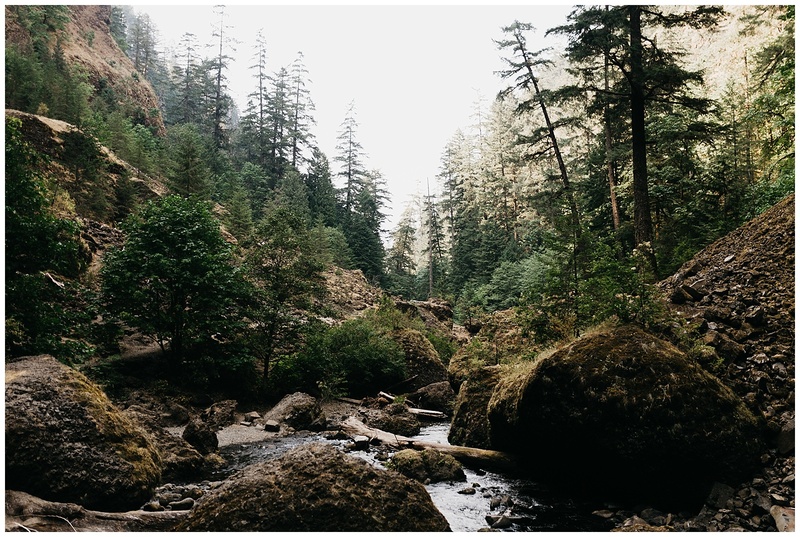 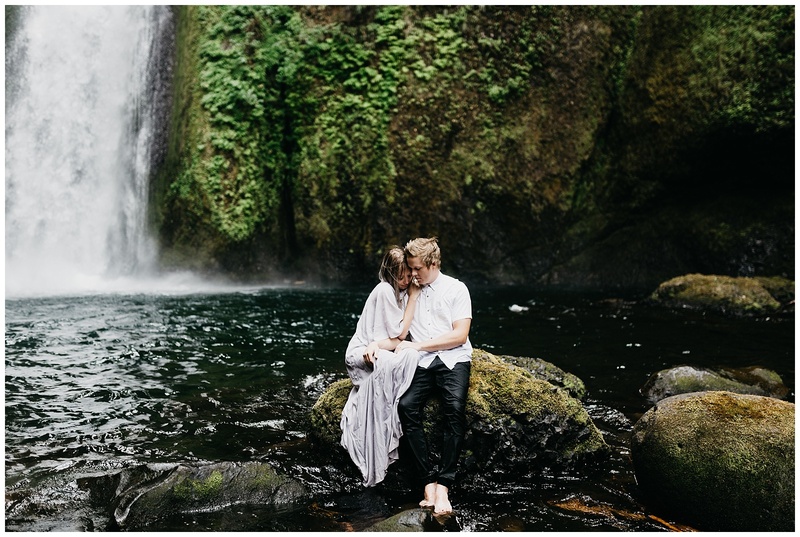 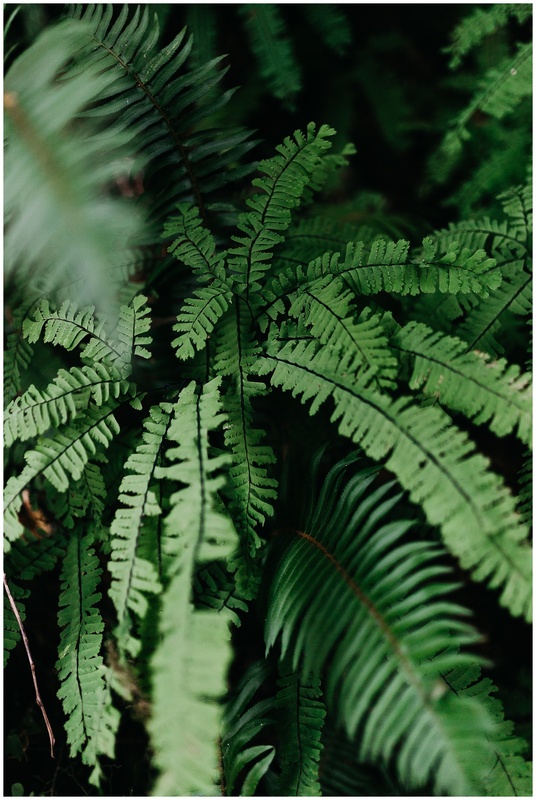 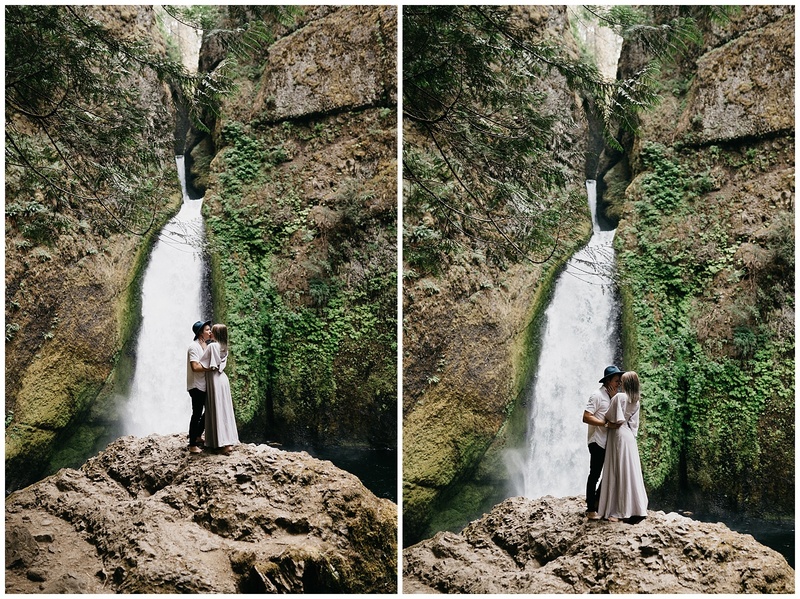 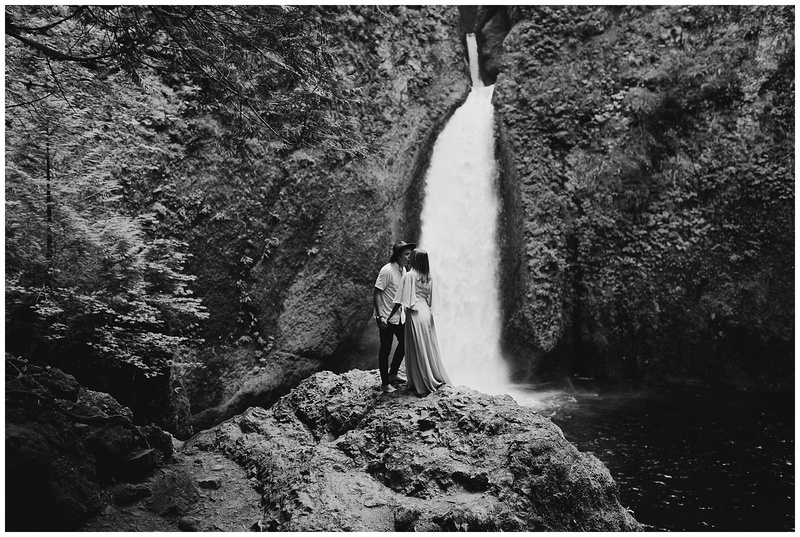 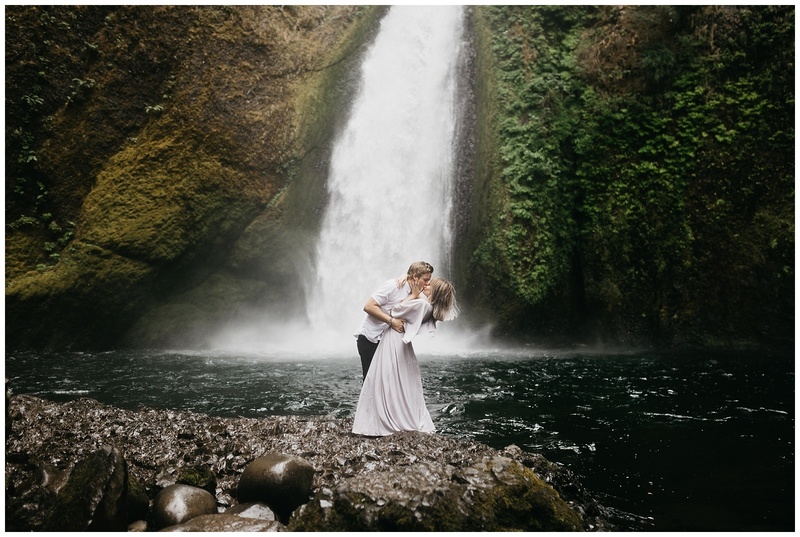 Our first day was an endless hunt to find all the waterfalls we could- we had planned to shoot at Oneonta Gorge but when we got there we found ourselves surrounded by hundreds of other people! 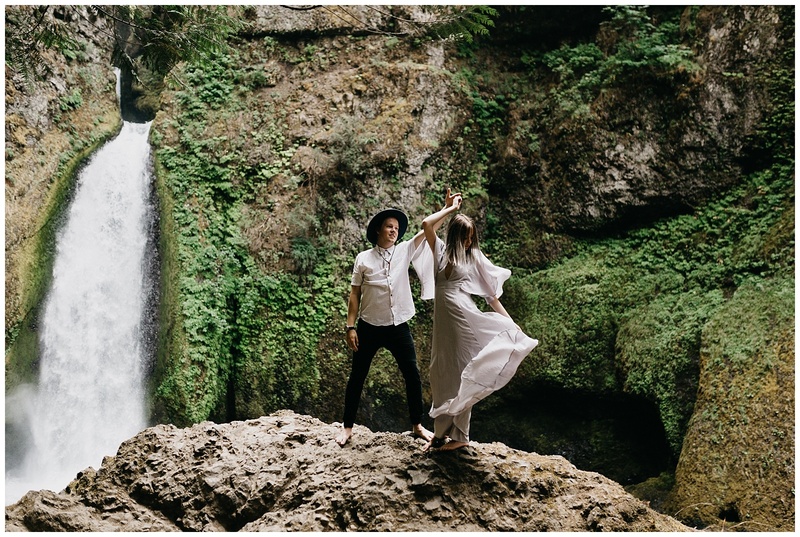 While still gorgeous, we decided to try our luck at the next place Google was pointing us too- Wahclella Falls. 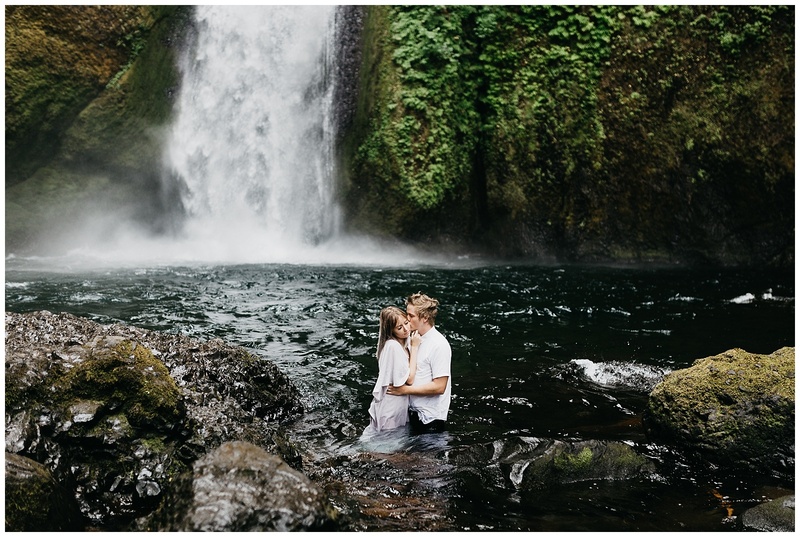 I’m so glad we switched, as the view at Wahclella took my breath away! 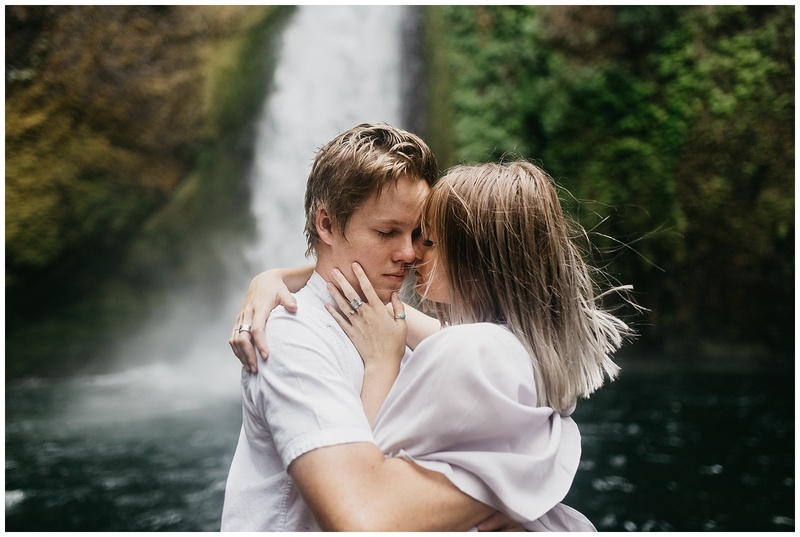 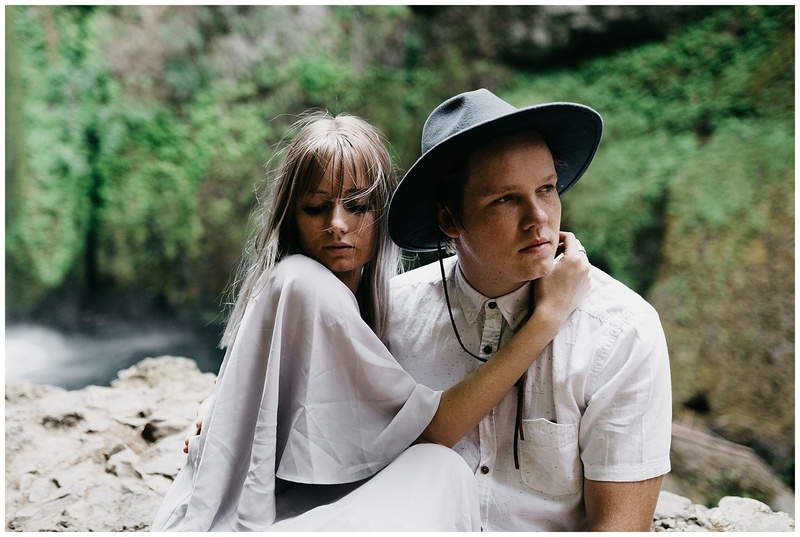 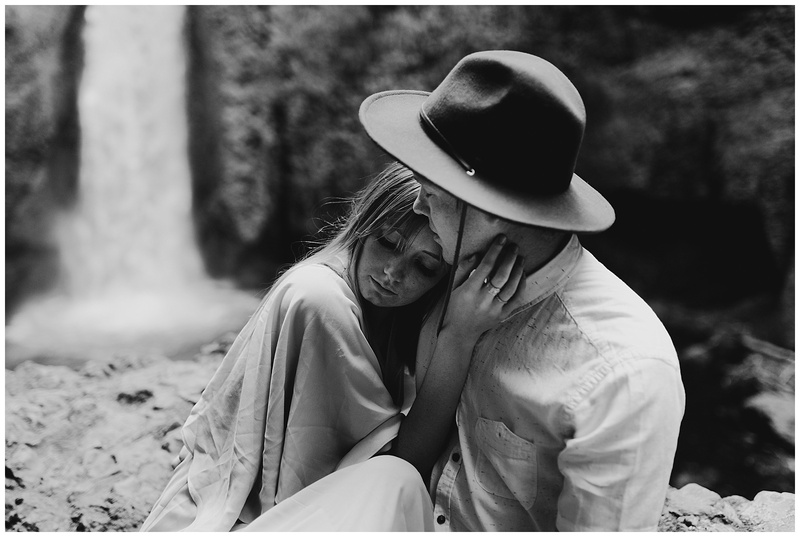 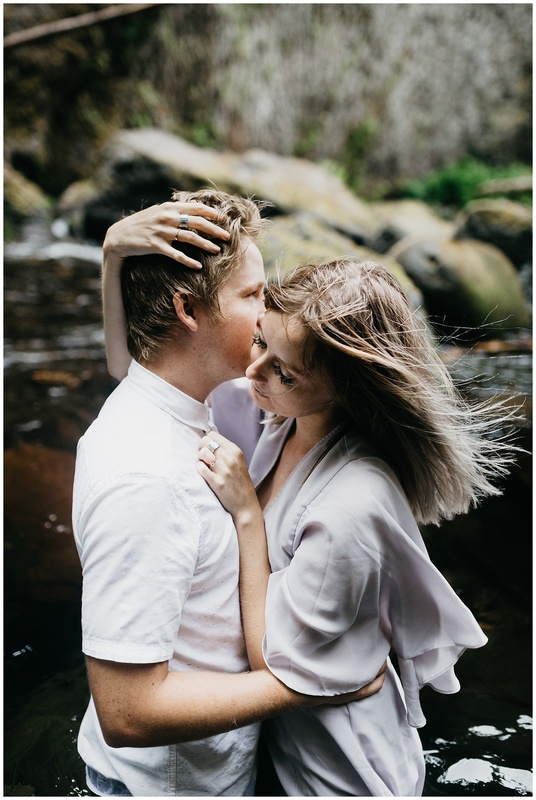 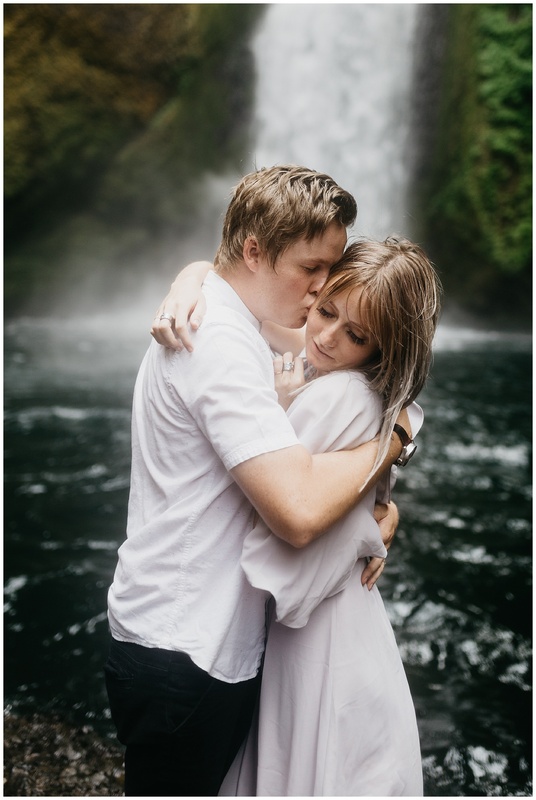 Eden and Paul threw on some more formal clothes and braved the slippery rocks and freezing water and we created some magic at the falls in the form of this moody couple’s session. 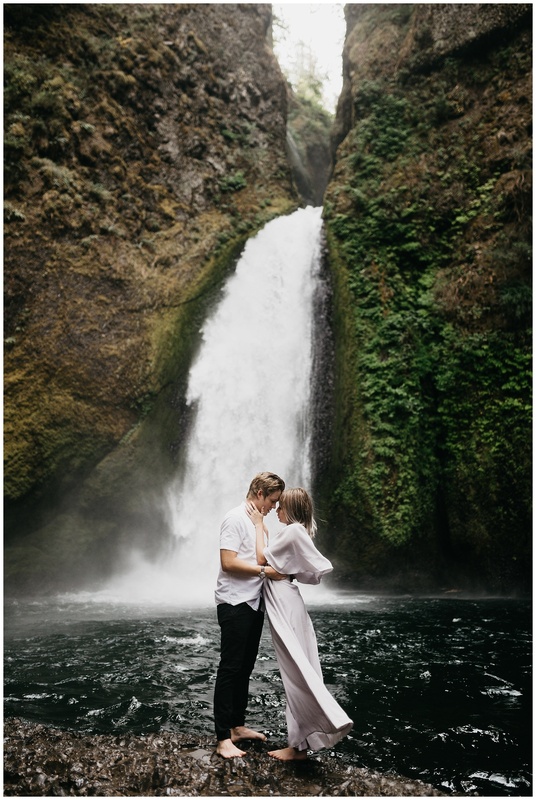 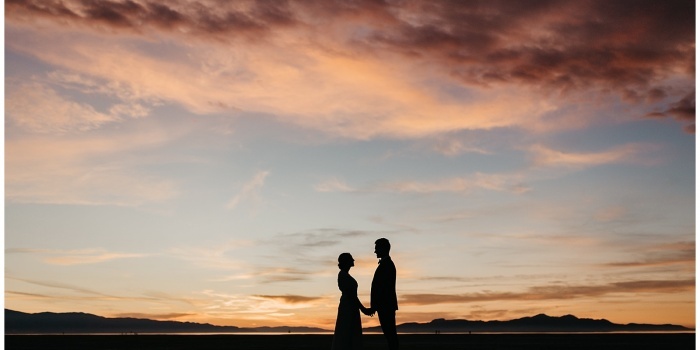 Oregon is the perfect place for lovers, I’m convinced. 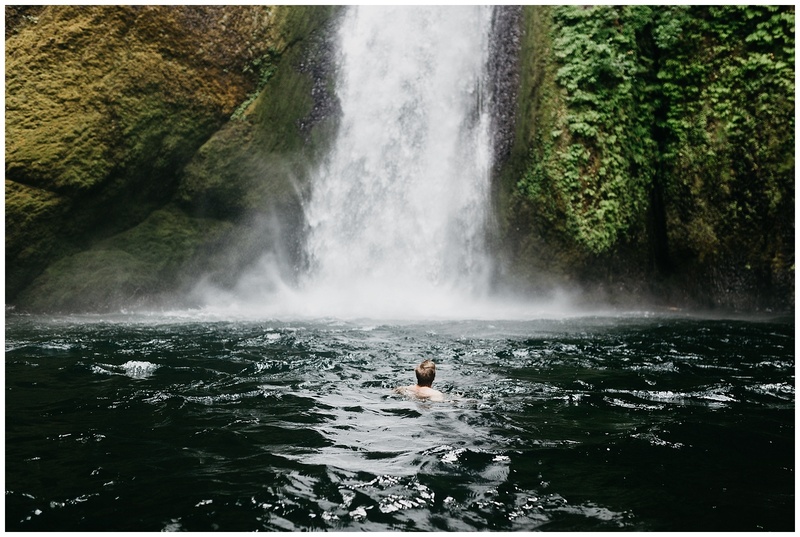 Can’t wait to go back there!